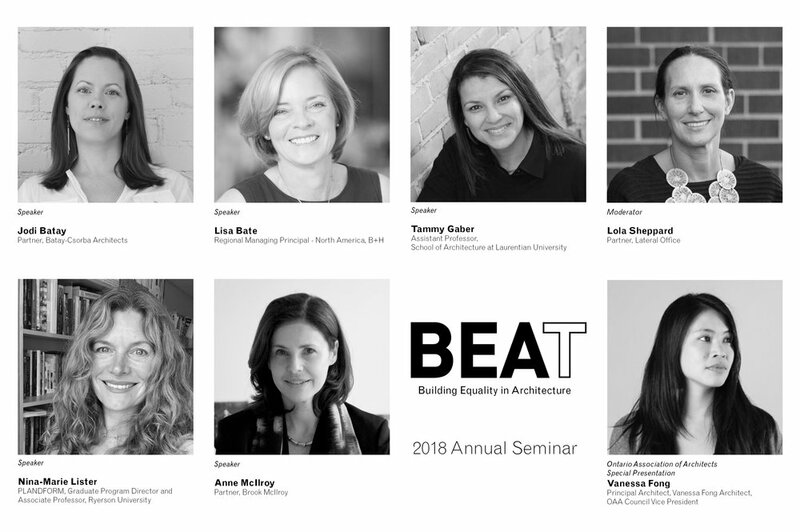 BEAT’s fourth annual seminar is devoted to exposing students and young practitioners to leaders in the architectural profession. From sole practitioners and partners in Toronto's leading design firms to academics, we will hear from women who have established careers in planning, urban design, architecture, landscape architecture and interior design. The seminar is open to both students and recent graduates who intend on practicing or teaching in these fields. Additional building tour of Daniels Spectrum will be hosted by Jennifer Mallard of Diamond Schmitt Architects. Lunch will be provided by BEAT. Tours and break out sessions are led by seminar speakers. Sign up is on a first-come, first-served basis on the day of the seminar. This event has been generously sponsored by the Ontario Association of Architects and Artscape.